Raya is coming soon in a little under two weeks. You know what that means: lots of duit raya, good food, and large family gatherings that fill your houses to bursting. And everyone wants your Wi-Fi password when they’re there. Oh, my Internet! All’s not lost though, because UniFi has launched its Ramadhan offering to help you save the day. For a limited time only, UniFi has dropped its rates for two of its four Internet plans. Its more affordable plans are even more affordable now. The UniFi Pro 100Mbps plan may still cost RM329, but hey, the other plans are nothing to sneeze at too, and it might just be a good time for you to improve your Internet now. 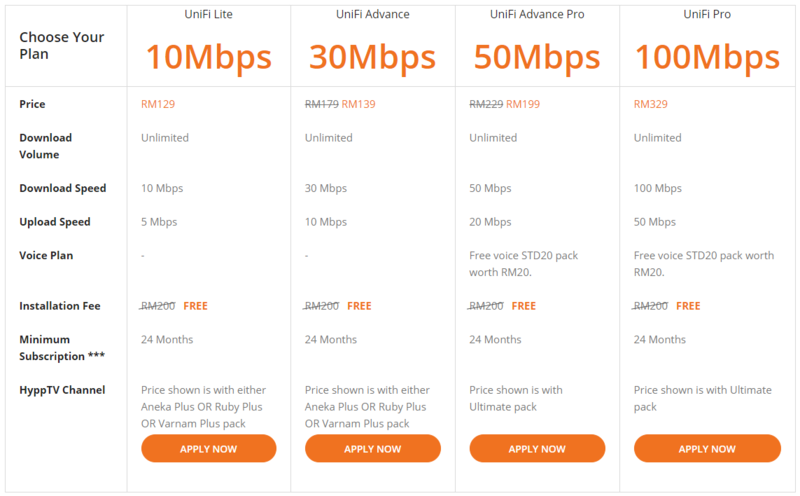 UniFi’s most basic plan remains as no-frills as ever, with the same price point of RM129. You’ll still get one of the three HyppTV channel packs. But don’t be too disappointed, because with GST zero-rated now, you still save RM11.61 per month! Money is money, right? The UniFi Advance plan has the most tantalising discount. If you’ve been eyeing the UniFi Lite because you want it to fit your budget, well, now now you can set your bar higher to UniFi Advance! Simply top up RM10 to enjoy triple the speed! Yes, really. 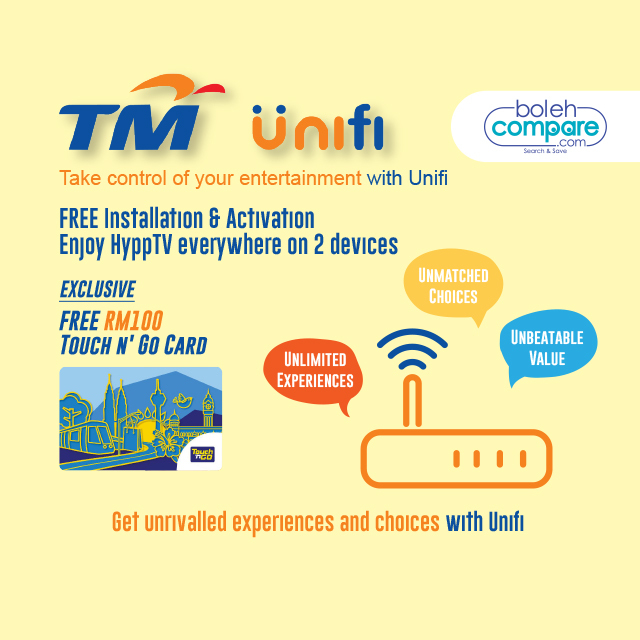 The UniFi Advance plan can be yours for just RM139 this Ramadhan, down RM40 from its original price of RM179. On the other hand, if you’ve been eyeing the UniFi Advance plan, you can just top up a little more to enjoy the discounted price for the UniFi Advance Pro plan. For a limited time only, the UniFi Advance Pro plan will be retailing for RM199 instead of its original RM229 price, bringing you RM30 savings every month (more, because no more GST!). But it’s not just a matter of price point, because the UniFi Advance Pro plan also comes with perks such as Free Voice STD20 and free HyppTV Ultimate pack. The Voice STD pack gives you 600 minutes of free talk time, so you’ll even be able to make long calls to loved ones who can’t make it this Raya. This is a promotion, so what happens after the promotion ends? In this case, both the UniFi Advance and UniFi Advance Pro plans will revert to their original, before-promotion prices from the 25th month of subscription onwards. But hey, you would have saved RM1,920 on the UniFi Advance plan or RM1,440 on the UniFi Advance Pro plans – and no GST charge! – so that’s already a great deal, right? This campaign will only run from 25 May 2018 till 30 June 2018, so hurry and grab your own subscription before it’s over! Hopefully, you won’t have to wait ages before your Facebook photos get posted online. Have fun getting ready for Raya!